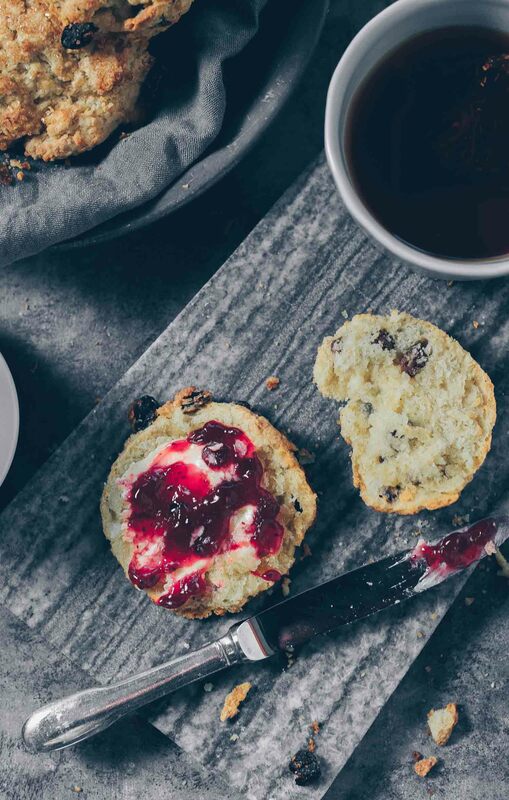 The fragrance and mild spiciness of cardamom lends an exotic touch to these scones. 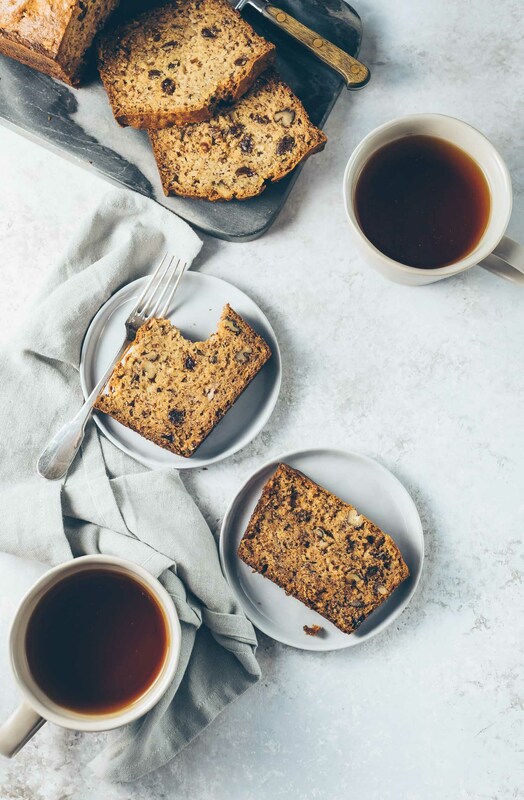 The raisins anchor them as a classic tea time treat. Towards the end of 2018 I told myself that 2019 would be the year to conquer new frontiers, the year to push myself to do things I’ve never done…like tackling flash photography. For years I’ve told myself that I’ve done fine with the poor light in my home, that I didn’t need to change anything. But it was really fear talking. So late last year I took a flash photography course–equipment ordered, delivered, fingers crossed. On my list of smaller frontiers to conquer is to cook with a pressure cooker without the appliance blowing up on me. When we were children my sister prematurely pried open our mom’s old-school pressure cooker (after being told not to touch it), causing several pounds of beef to rocket out of the cooker, along with the lid. It’s a miracle my sister wasn’t injured, though she didn’t escape a big scolding when our mom discovered the mess (and after she saw that my sister was unhurt). I, the bystander, on the other hand was scarred by the experience and have been afraid to touch a pressure cooker since. This is an irrational fear, I know. I hear Instant Pots have multiple built-in safety features to prevent mishaps like my sister had. But armed with even this information I’ve avoided them. Luckily, I stumbled upon an Instant Pot class at Williams Sonoma so I signed up to join my fellow pressure cooker phobes this week, yippee. Who knows…I just might be sharing some pressure cooker recipes down the road. With these new challenges on the horizon I’m thankful for the tried-and-trues in my life, like scones. 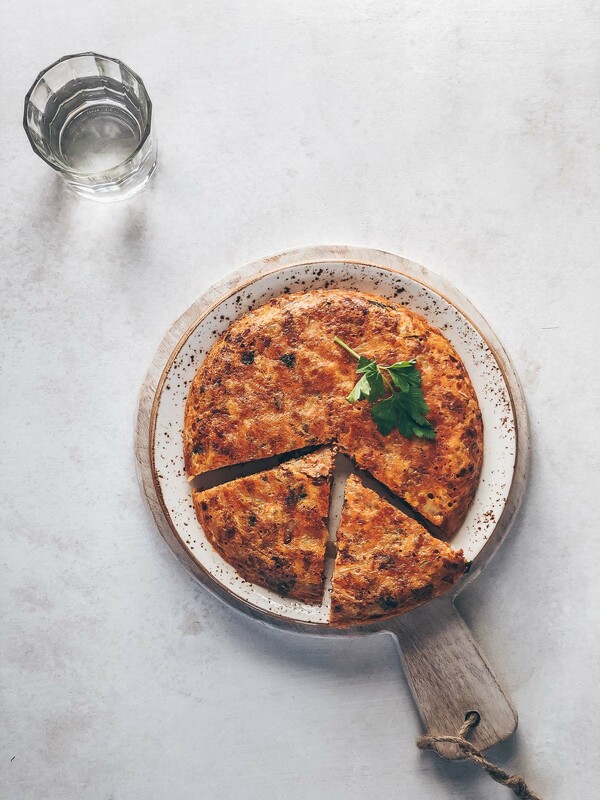 They’re uncomplicated, reliable in their ability to satisfy a craving for something home-baked and comforting, not to mention flexible. This latest batch was made with cardamom and raisins. 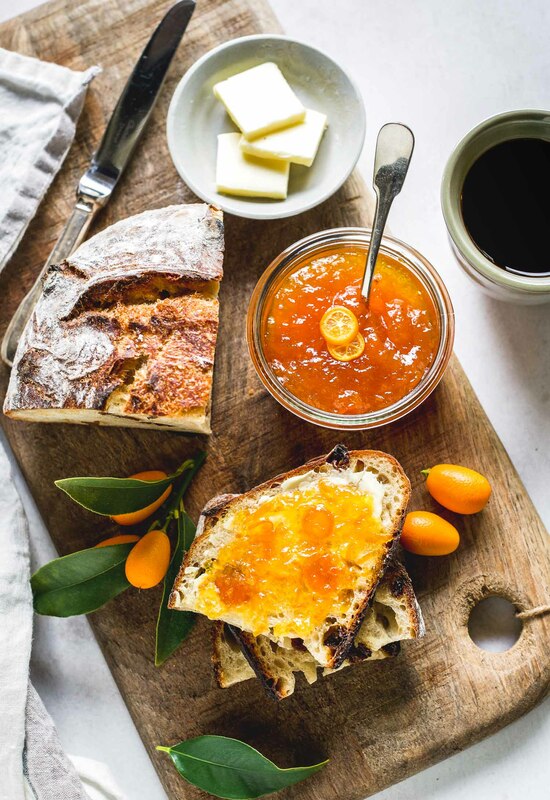 The raisins are an ode to classic scones while the cardamom adds a bit of spice and an exotic touch. They’re great on their own right out of the oven but a pat of butter and jam would be nice, too. If you have a particular weakness for scones like I do consider this a warning because these are too easy to devour. To save me and my husband I froze half the batch for enjoying later because they reheat beautifully in the oven. 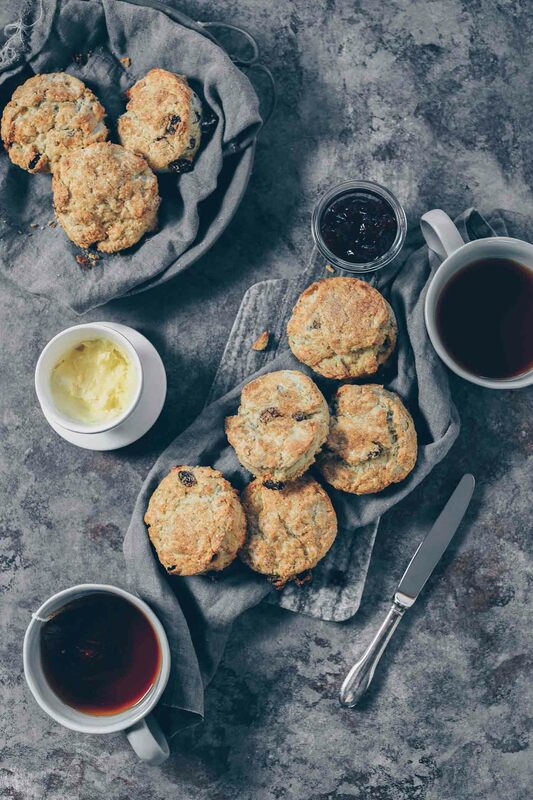 Or just maybe, if I should turn out to be a flop at flash photography or pressure cooking I’ll need something to console me and these scones will be just the thing. 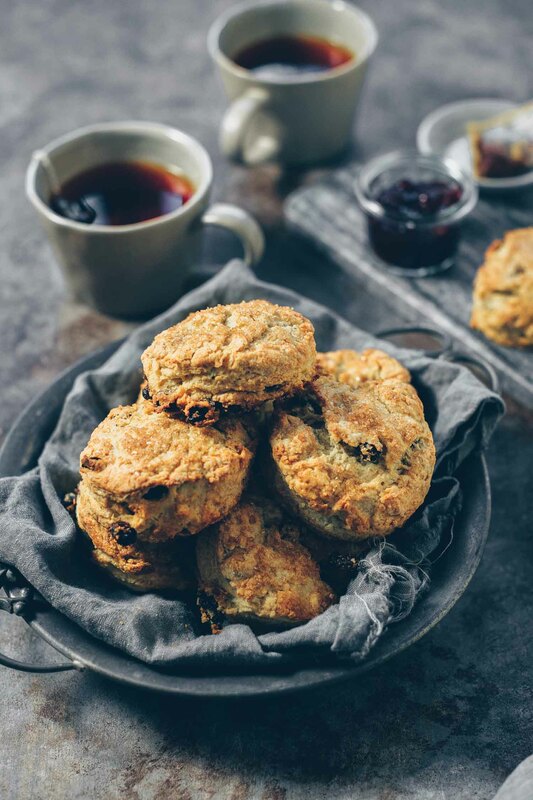 The fragrance and mild spiciness of cardamom lends an exotic touch to these scones. The raisins anchor as a classic tea time treat. Preheat your oven to 400ºF. Coat a baking sheet with baking spray or line with parchment paper. In a large bowl sift the flour, baking powder, baking soda and ground cardamom. Add the sugar and salt and stir to combine with a whisk. Add the butter pieces and, using your hands, toss in the dry mixture until the butter pieces are coated. Then pinch the butter between your fingers until you have large slivers or pea-sized pieces. Add the raisins to the flour/butter mixture and toss around until they’re coated in flour. Add the half and half to the dry ingredients and stir with a wooden spoon or spatula just until the liquid has been absorbed by the flour. Transfer the loose, crumbly mixture onto a lightly-floured surface and just press the dough together until it holds together. Do no overwork it. Flatten the dough into a disk, fold it in half, lightly press again then fold in half once more. Press the disk until it’s about one inch tall and five or six inches in diameter. Brush the top of the scones with milk. Don’t brush the sides as the milk for act as a glue and hinder the rise of the scones. Sprinkle the tops with turbinado sugar. Bake for roughly 18 minutes. When done the scones should be golden and crisp on the outside. Serve warm. 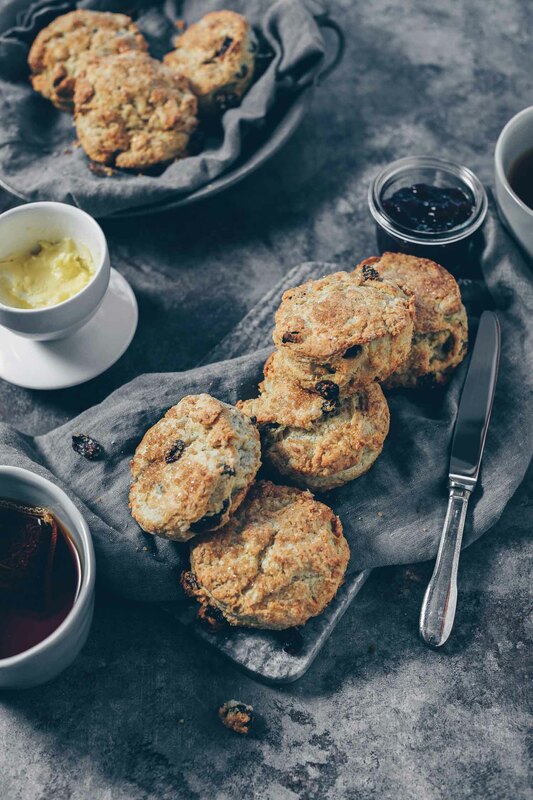 These scones freeze well and reheat beautifully in the oven. These scones are beautiful. Such gorgeous photos. I’m not a scone fan, because of the dryness. But with enough soft butter and jam I’m a happy camper! 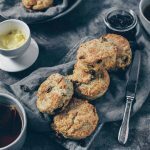 I love homemade scones and these look so scrumptious! I’m sure your photography and pressure cooking techniques will. 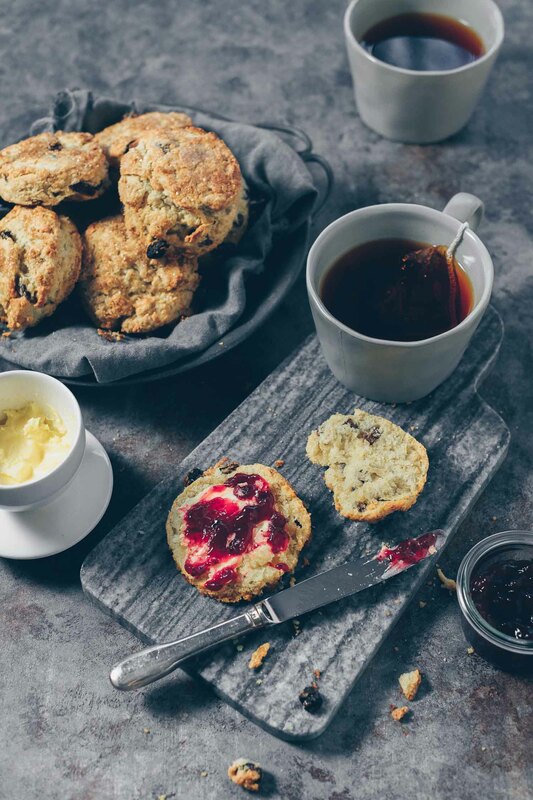 be just good as this scones.